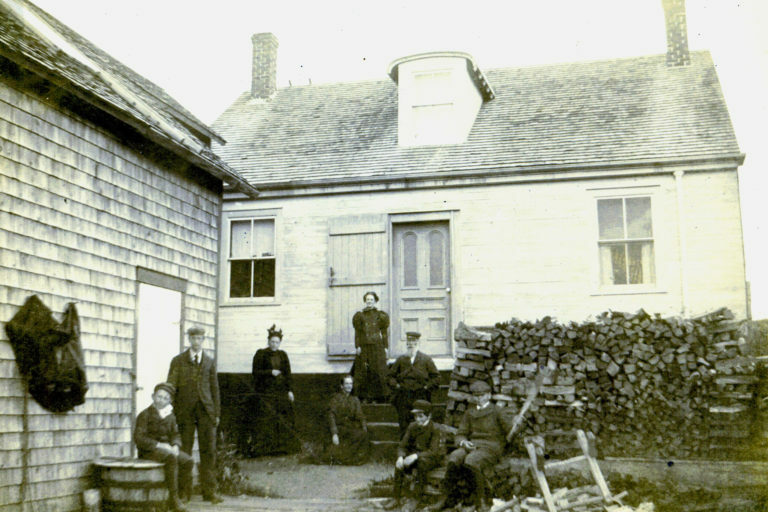 Between 1882 and 1901 a section of the property including our Beach Cottage was the residence and partial workplace of shipwright James Starkey of Robbinston, Maine. Mr. Starkey's boatyard was located at the Lighthouse Point next door, but he built several additions to his residence on the waterfront. What is now Harbourview One was probably originally a summer kitchen, and what is now Seagull and Harbourview Two was his workshop. The two buildings - home and workshop - can be seen to the immediate left of the first photograph, and sections of the rest of our property behind it, including our office (with roof under construction) and the little saltbox style barn. Captain Starkey was a prolific boat builder, some upwards of 300 tons. 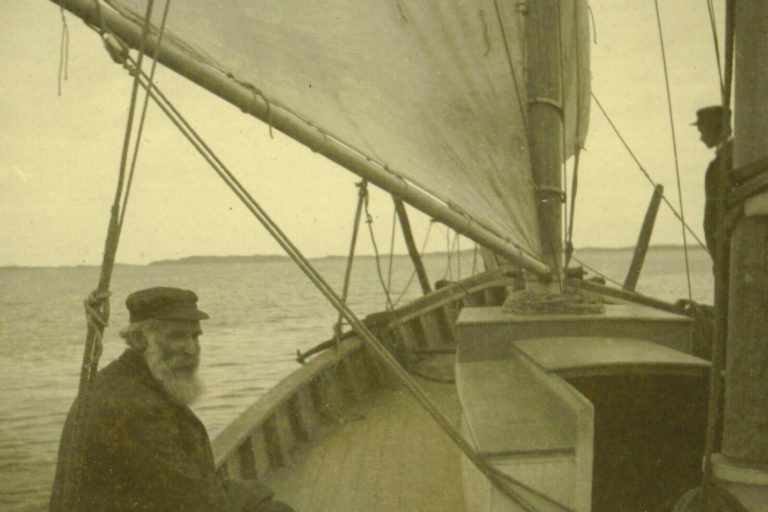 He built a sloop for Sir William Van Horne and cashed in the burgeoning tourist trade by running sailing tours and clam bakes out of his sloop Crusoe. Despondent at the death of his two sons Mr. Starkey drowned himself at his boatyard (see link below). His wife sold the house to Wheeler Mallock, and the house later passed to the newly expanded Seaside Inn and Cabins in the 30s. Beach Cottage (James Starkey residence and workshop) to the left. Mr. Starkey's sloop Crusoe in the foreground. 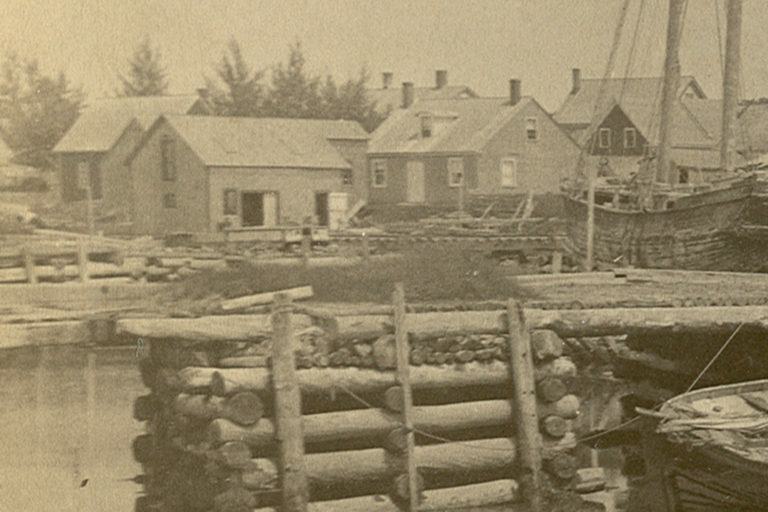 Mr. Starkey's boatyard was located at the Lighthouse Point. Present Seagull to the left, rest of Beach Cottage, including Sunrise, Eastwind, etc. immediate rear. The second story (Port and Starboard) were added in the 30s under Seaside Inn and Cottages. 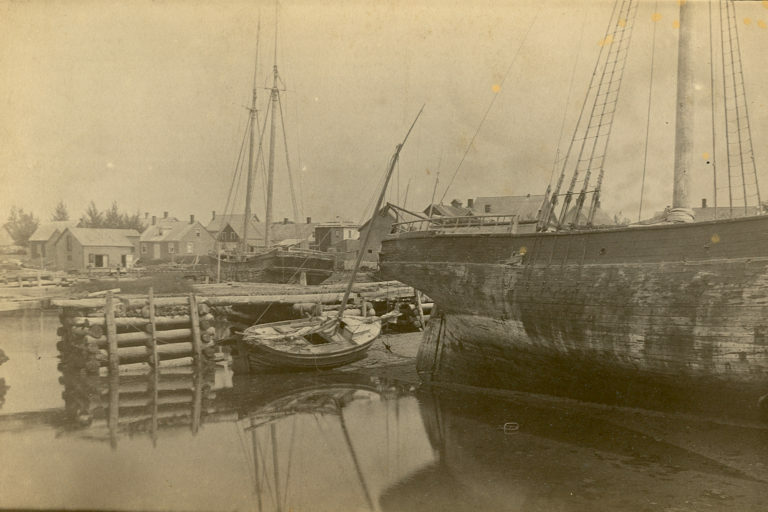 "Mr. James Starkey launched last week, a very neatly modelled and well finished fishing schooner of about 12 tons burden; which he has named “Crusoe.” Nautical men who have seen the pretty craft, decide that she will, like the vessels previously built by Mr. Starkey, prove a good sea boat and fast sailer. The Crusoe is for sale."